Major-General `Ginger' Burston led the Army Medical Service throughout the Pacific campaigns. 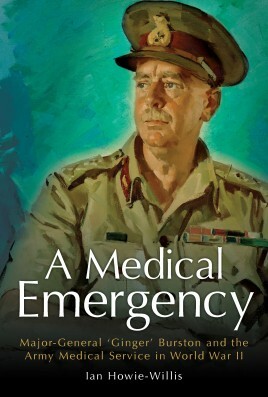 This pivotal book explains how Burston and his medical team kept Allied troops healthy in primitive and hostile conditions and during the greatest medical emergency of World War II- the struggle against malaria. By keeping the soldiers healthy, and particularly by reducing malaria infection rates from 100 to less than one case per 1000 troops per week, the Army Medical Service assured an Allied victory over Japan. A Medical Emergency tells this remarkable story for the first time. In engrossing detail and using contemporary accounts, veteran historian Ian Howy-Willisbrings to life the struggle of `Ginger' Burston and his Medical Service to fight a deadly opponent that decimated the ranks of friend and foe alike. Their victory was key to the ultimate Allied success. Dr Ian Howie-Willis is a professional historian. He was born and grew up in Melbourne but has lived in Canberra since 1975. The author of 17 books, he is the historian to St John Ambulance Australia. He and Margaret (his wife of 49 years) have three children and seven grandchildren.